When it comes to superhero movies, there is no way to avoid seeing Marvel as a lavishly dressed mustachioed Monopoly Man, moneybags and all. The company has almost single handedly dictated the tone, format and structure of superhero films, giving the general public a well-reinforced schema of what a superhero movie is. Even DC’s recent movies fit this mold; it currently seems that, just by nature of having superheroes, these films are obligated to take on certain characteristics. In 2000, Director M. Night Shyamalan dipped his toe into the fledgling genre with “Unbreakable.” The film follows David Dunn (Bruce Willis, “Die Hard,” “Pulp Fiction”) as he slowly discovers his superhuman abilities with the help of Elijah Price/Mr. Glass (Samuel L. Jackson, “Pulp Fiction,” “The Hateful Eight”). Seen through the lens of our current superhero-obsessed popular culture, it defies several of the common tropes of the genre while simultaneously exploring — sometimes self-reflectively — many of the foundations that superhero narratives are built on. “Glass” introduces Dunn, now known as The Overseer, to Crumb, now called The Horde. The two, along with Mr. Glass, are taken by Dr. Ellie Staple (Sarah Paulson) to a mental institution that makes up the bulk of the film’s setting. On paper, the film has all the narrative tools it needs to tell a great story: a compelling hero, a well-developed villain and an evil genius dedicated to ensuring that the former two meet. In true M. Night Shyamalan fashion, there is a twist: this promising foundation builds to a frustratingly flaccid conclusion. While “Unbreakable” and “Split” differ wildly in plot, pacing and structure, they successfully tackle the same major concept: What would it realistically look like if someone with superhuman abilities existed in the real world? “Unbreakable” takes an ambling, human-centered approach to its storytelling, while “Split” incorporates horror and thriller elements into a narrative packed with action, both physical and psychological. “Glass,” unfortunately, distills the worst elements of these two films into a single, grossly underwhelming product. “Unbreakable” worked because it wasn’t tainted by our current expectations for superhero cinema; “Split” worked because, marketed as a thriller, it eschewed those expectations altogether. 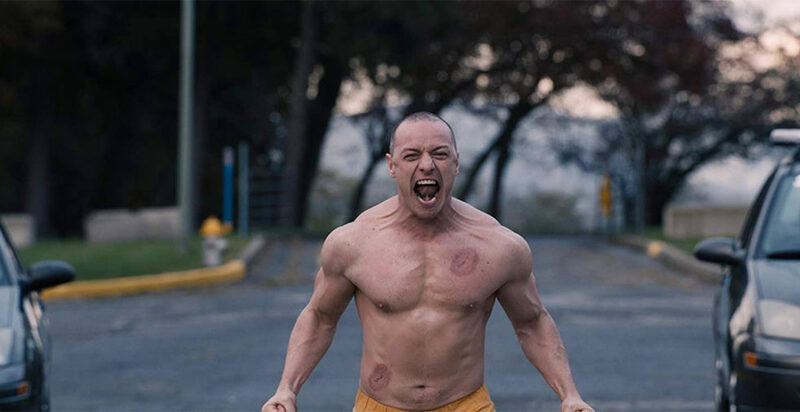 “Glass” embraces the tropes that are now ubiquitous in the oversaturated superhero genre, shoehorning its main characters into roles that destroy the qualities that made them engaging and likable in their respective films. The tension built through the film ends in a criminally unsatisfying climax; the portions that were not entirely predictable only came as a surprise because nobody expected an Oscar-nominated director to commit them to film. This bungled climax ends in a typical “Shyamalan twist” that aims to give context to the story, though it comes off as a slap in the face after being subjected to the preceding narrative maelstrom. Watching “Glass” is like mixing the pieces of two separate jigsaw puzzles and attempting to construct a single coherent image. It is technically possible, but only by forcing pieces to go where they don’t belong.